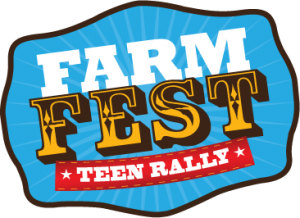 Farm Fest is an awesome teen event focusing on life-changing Bible preaching. Three area churches, with a passion to see teenagers live boldly for the Lord Jesus Christ, began Farm Fest in 2003 with help from Dave and Sandy Buck, founders of Harvest Teen Rally. This is an opportunity to hear God’s word preached and to make life-changing decisions. For this one-day event we take over a local family farm and set up several exciting games and challenging courses as well as a BIG, 30ft. tall, 500ft. round tent for the main events. Three solid, Biblical messages; Christ-honoring music; skits and more all take place under the BIG tent. From individual to team competitions, this is an opportunity to play familiar and unusual games with friends and hopefully some new friends too. We invite Teens from more than 100 churches in 5 states. This year’s Farm Fest is June 11th! Bible Baptist Church is a loving, independent, fundamental, group of growing believers. We are not perfect, nor do we expect you to be. Bible Baptist is a church for everyone…for people who deal with the same daily struggles as you—the stresses of finances, strained and broken relationships, busy schedules, a troubled past…and all of the other challenges we face. But we can also experience the peace and joy of knowing that God sees everything and has promised to be our source of strength and help in times of trouble. Our church family strives to understand God's Word and how to apply it in our lives through careful Bible teaching and preaching. We endeavor to fulfill the purpose that God has for us as we grow in our relationship with Him. If you would like to know more about us, feel free to contact us - or better yet, come for a visit!